Less than 3 months now before the doors open again at Virtuality, and talked about it here (in french). 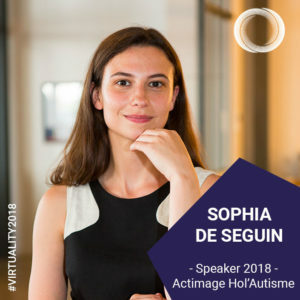 Here below are the first names of speakers, french and international, who you will meet at the CENTQUATRE-PARIS between 8th and 10th of february. 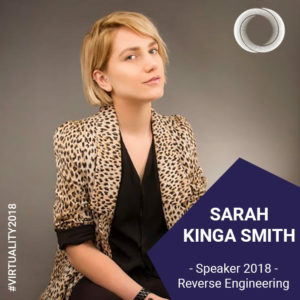 Sarah Kinga Smith is the founder of Reverse Engineering Studios ( “RES” ), a talent management and production company for digital and traditional media. Prior to her engagement at RES, she was managing director of London then later US based film funds, overseeing projects from companies like Universal Pictures, Lionsgate and Europacorp. She executive produced commercially successful pictures (“Lone Survivor”, “2 Guns”, “November Man”) and worked with critically acclaimed directors & producers of companies, like Sony, Annapurna, Ridley Scott Associates and Digital Domain. In 2014 taking a break from film finance, she returned to creative development and joined a talent management company as Head of the International Literary Talent Department. She worked with clients at HBO, Vuguru, Amazon and MakerStudios. Digital companies brought new formats and access to new platforms, pushing creators to adopt new ways of story telling by merging traditional business models of Film & TV with fast paced digital environment. 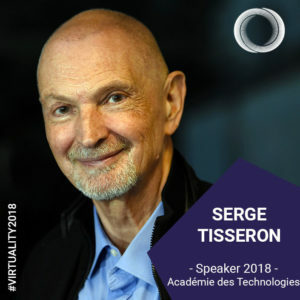 Serge Tisseron is a psychiatrist, member of the French Academy of Technologies, doctor of psychology authorized to conduct research in clinical humanities, and associate researcher at the University of Paris VII – Denis Diderot. He is the author of some forty books, more than half of which deal with the relationships we have with images and the technologies that produce them. His work has been translated in twelve languages. In 2013, he received an award in Washington from the Family Online Safety Institute (FOSI) for his work on youths and screens. In France, 160,000 children suffer from autism spectrum disorders. Only 25% of them follow a “classical” schooling. 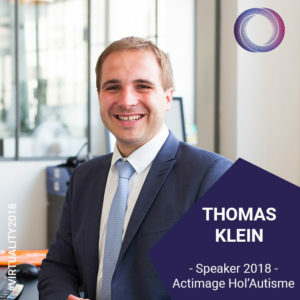 The goal of the Hol’Autisme project, led by Actimage, is to promote, through mixed reality and in a controlled and secure environment, the acquisition of social skills for children with autism. Our goal is to help improve their integration into school and society. We are proposing applications with social scenarios and environments in mixed reality, a prototype of mixed reality glasses, an interface of control and follow-up. We are collaborating with research laboratories and hospitals to develop this solution. Hol’Autisme is laureate of the French IOT 2017 contest and sponsored by Microsoft France. 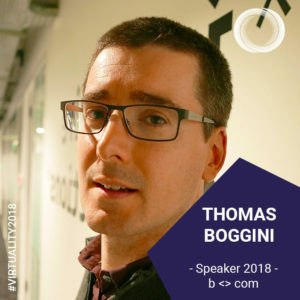 For the past seven years, Thomas has been working in R&D on 3D and virtual reality at Bell Labs, University of Geneva, IRISA, b<>com, etc. 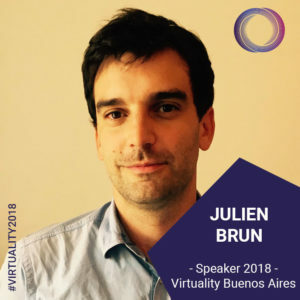 Preview of Virtuality Buenos Aires : join us in june for our first LATAM edition !